Truro & Penwith College were back for another year, with an exhibition held at Lemon Quay in Truro to show off the work of Cornwall's art and design students. 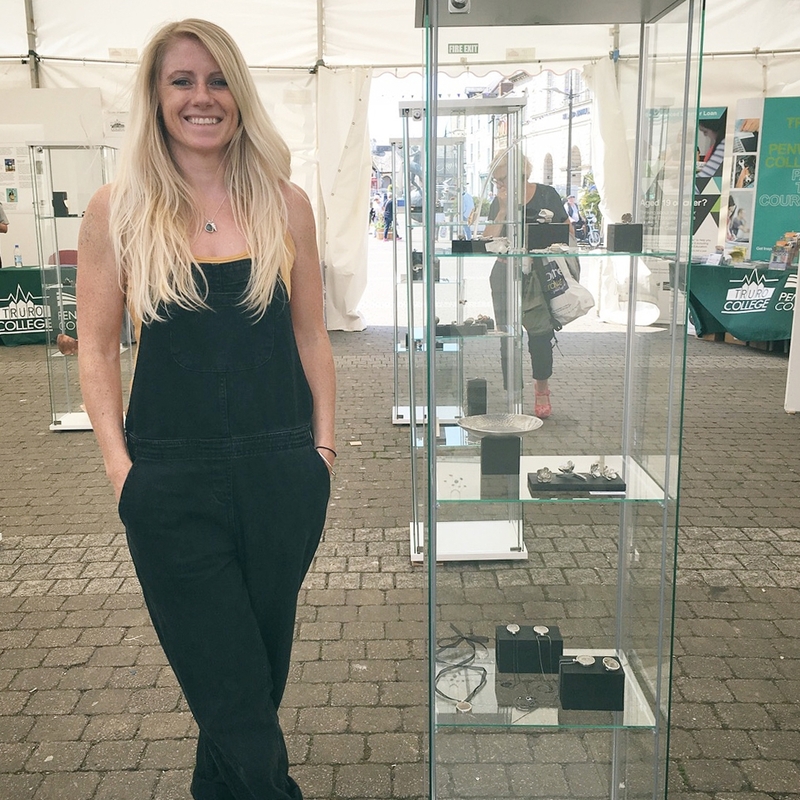 Today we chat with Sarah Shelton-Palmer, a Silversmithing and Jewellery student who won the Kernowcraft award with her beautiful designs! Every year we look forward to this event, filled with amazing designs from creatives all across Cornwall. In this post, Sarah shares what it's like to take part in this annual exhibition, the inspiration behind her designs and what the future holds. If you're looking for jewellery and silversmithing courses in Cornwall, find out more here with Truro and Penwith College. Congratulations on winning an award at Truro College's Baker's Dozen exhibition! How did you prepare for the exhibition? Firstly I would like to say a massive thank you for the award I received from the exhibition. I was already preparing my collection for the final major project in our degree at Truro & Penwith College. I made sure that I had the time to get my main pieces ready for the exhibition. How do you think this exhibition helps up-and-coming jewellers and artists in Cornwall? It gives you the chance to showcase your work and the experience gives you the confidence to start thinking about the creative industry. It’s a great opportunity for the students at Truro & Penwith College. What was the inspiration behind the designs you showcased? My inspiration stems from my surroundings and lifestyle. For my dissertation, I researched talismans in contemporary society. My work is a continuation of that. The designs come from Cornish rock pools and the creatures living in them. 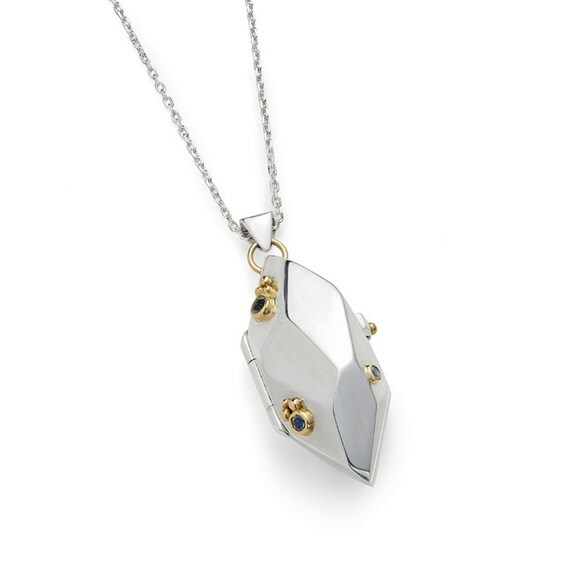 The facets found in the quartz along the Cornish coast gave me the ideas for the shapes of the lockets. 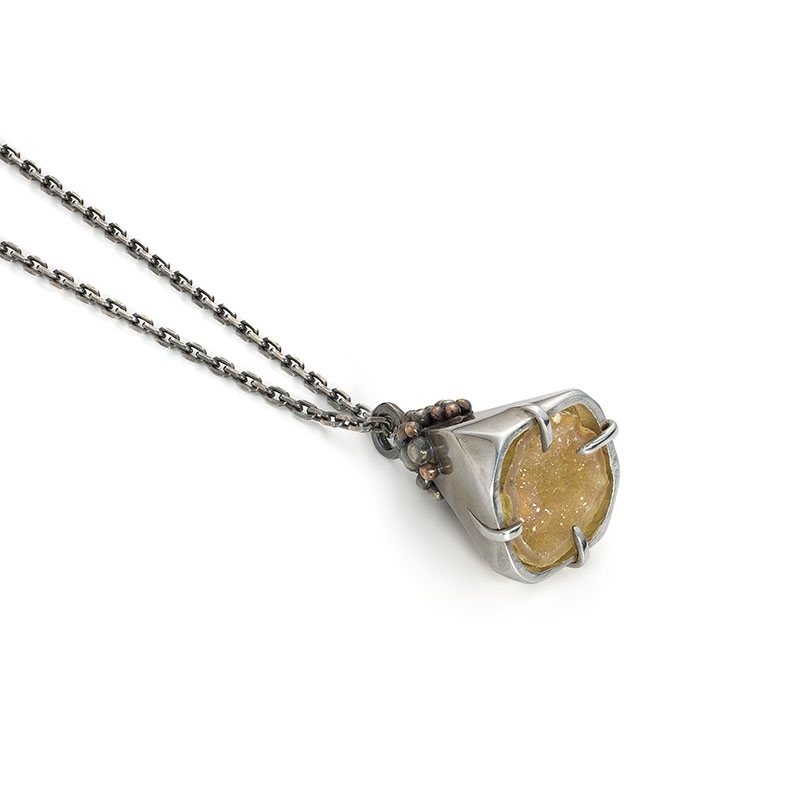 What’s your favourite piece of jewellery you featured and why? 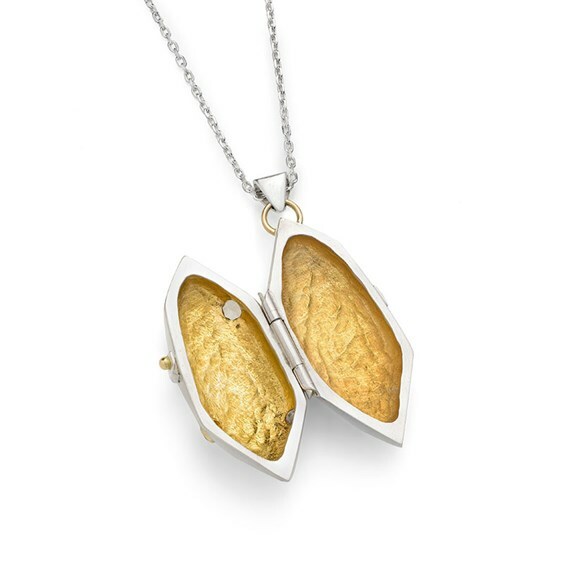 My favourite piece is the largest locket. Its special to me because of the way it was made, I used new techniques and pushed my boundaries. I set faceted moonstone gemstones in it to give it extra sparkle and used 18k gold granules around the stones. It is also gold plated inside. 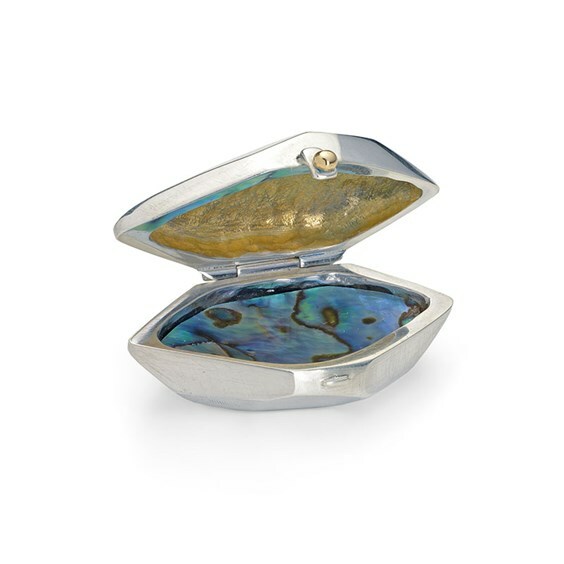 The locket has room to carry something inside; perhaps some little lava rocks with your favourite essential oil or a photo of a loved one. 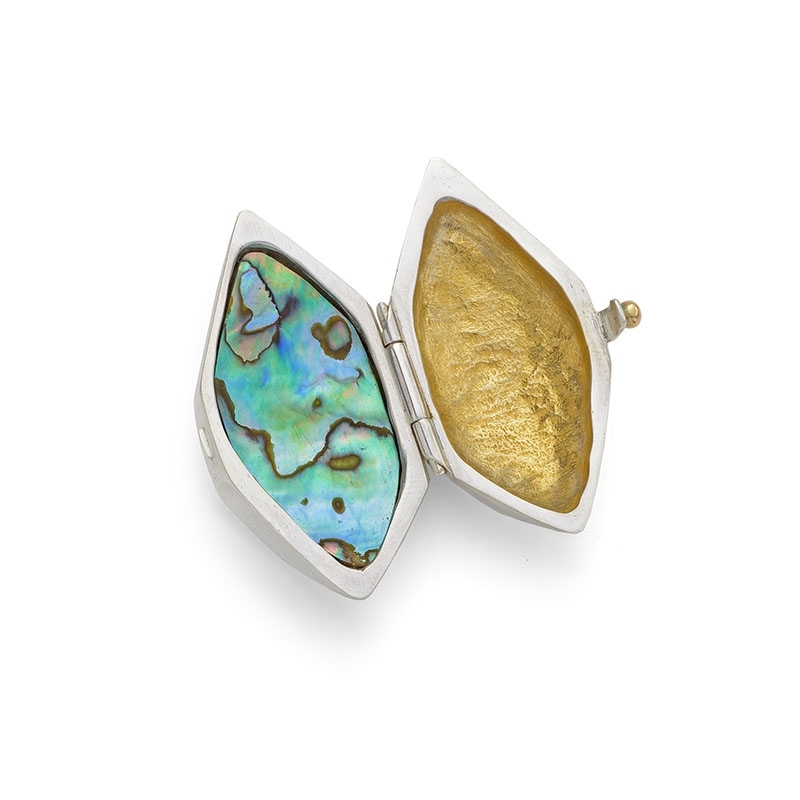 I love to travel and enjoyed looking at jewellery from other countries and cultures. I was always looking for jewellery that was different and long lasting so I made the decision to learn how to make jewellery myself so I could express my own artistic ideas. You study Silversmithing & Jewellery at Truro College, why did you choose to join the course? I was delighted that I could study for a degree in Cornwall. After doing some research I applied for the course and got accepted. The interview was very informative and I was shown around the workshops at the college. It has been an incredible journey and I have pushed my artistic boundaries. What advice would you give someone who wants to give jewellery making a go but doesn’t know where to start? I would recommend having a go at jewellery making. You can do evening courses at Truro & Penwith College, which is a great way to see if you enjoy it. What is your favourite thing about studying the course? It has opened up a whole new world to me, and I hope to make a career within the trade. 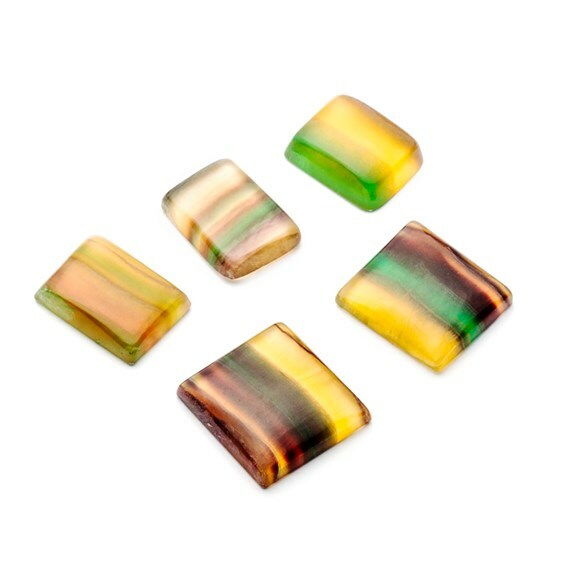 I have learnt so much since I started and never thought I would enjoy making jewellery as much as I do. I am constantly looking for inspiration and new ideas. 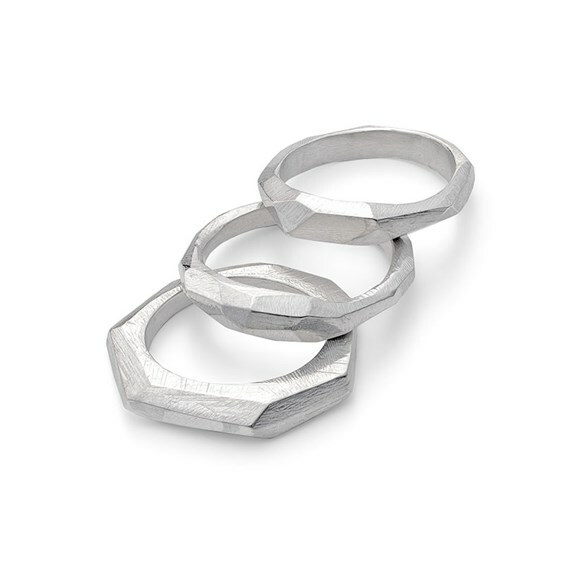 What has been the biggest challenge since starting jewellery making? The biggest challenge is the technical side of jewellery making. Trying to stay positive when you feel like what you are making is going wrong is tough, but with practice, it gets better. In five years it would be my dream to have set up my own workshop and have my own jewellery design business up and running. 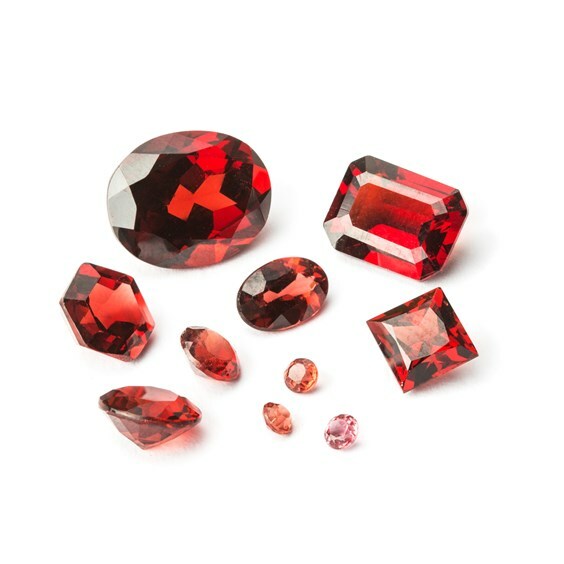 What’s your top 3 favourite gemstones? I love all gemstones but my top three would be Labradorite, Tourmaline and Opal. What’s one technique you’d love to try next? I recently bought some 24k gold foil to try keum-boo. I love the combination of different metals in my work. The prize was a £50 Kernowcraft gift voucher! What are you planning on treating yourself to? That will be a really tough decision because there are so many fabulous products. I love the new fluorite gemstones and I also love the hexagon cut stones, especially the Mozambique garnet. It would be a new challenge to set the hexagonal stones in a new design.